TCE LLC methodology focuses on delivering the right balance between network costs and QoS. Our systematic approach benchmarks and identifies improvable areas of your network and maximizes your return on investment. TCE LLC will review your requirements to jointly define a Service Level Agreement based on measureable objectives in terms of quality, capacity and cost, sharing risks and rewards. We can impact your business by providing turnkey services including drive testing services, measurement services, benchmarking, post-processing, and optimization. With the on-going introduction of dynamic new technologies, you need to work with a company that understands the complexities of a rapidly changing technological environment. There is no substitute for experience. And in the history of wireless communications, no other company can lay claim to the sheer magnitude of practical, applied expertise that defines our employees. In the wireless telecommunication industry, Line and Antenna Sweep Testing was once the main type of testing relied upon. These “Sweeps” test the performance certification of a new or recently modified RF system placed into service on an existing network. This equipment is designed to measure the impedances and Phase Matching of the components in a system that is to be integrated into the network. 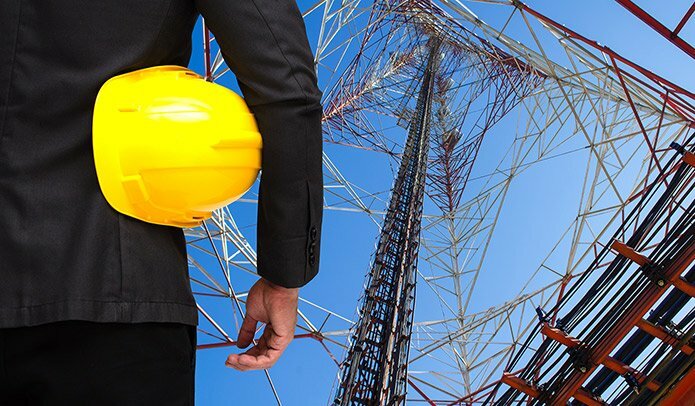 TCE LLC has established one of the finest test and analysis service offerings available for the cell tower industry. We conduct all tests and analysis procedures utilizing the same theories, test setups, and methodologies, ensuring a very detailed report upon completion. The most important part of a network rollout is the integration and commissioning of the cell site. Our focus is in providing services that require highly trained technicians and expensive equipment. Our technicians are trained and accredited to work on the Original Equipment Manufacturers (OEM) equipment. The new AWS, UMTS, & LTE technologies are intended to be used for the transmission of high speed data transfer. To accomplish this with reliable proficiency, engineers have discovered that the quality of the entire RF system needs to be nearly perfect. It has always been understood that an RF signal can be dramatically affected by random distorted signals within the receive band of a RF system. These unwanted signals will show up as excessive frequency noise that can be within the bandwidth of a receive radio. This condition can cause degraded radio capacity and call failures. The condition is referred to as Passive Intermodulation Distortion (PIM). TCE LLC offers a variety of microwave services including upgrading, alignment, troubleshooting and pathing of all types of microwave services. Our experience and equipment ensure the proper alignment of new dishes and obtaining the absolute minimum RSL’s on your paths. The Drive Test is used for checking coverage criteria of a cell site with RF drive test tool. This is where an actual test is done in a vehicle while on a call in order to test the network. The data collected by the drive test tool is analyzed to evaluate various RF parameters of the network. The Drive Route and Site Data for the sites to be driven to is taken from the customer. In last couple year’s data usage growing up not linearly, but geometry. Operators, starting build indoor and outdoor small cell, to take off data load from macro cells and at the same time to improve coverage and capacity for indoor users (big residential buildings, offices, hospitals, shopping malls and etc…). TCE have huge experience not just of L&A installation, but as well as commissioning and integration, drive test, network configuration, field testing, troubleshooting experience. When we will combine all this experience we get best company that you can hire for small cell turnkey project. We can perform all Scope parts for small cells projects, from planning to final testing.